This unmatched guide – the best selling Your Money is in the Follow-up, offers valuable follow up tips and essentials on Why, Where, When, Who, What and How to Follow-Up for Small Businesses, giving you exactly what you need to follow up and succeed in your small business. You’ll also gain practical insight and a common sense approach to following up with your target accounts so you can get your money through serving and grow your small business. Get your copy of the e-book for your Kindle or other e-reader at Amazon.com and other online stores. 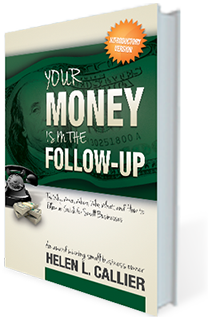 Please share Your Money is in the Follow up book with other small businesses and entreprenuers. When you share with others, you’ll learn more. 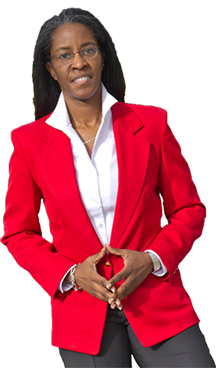 And when the dynamic tips are applied, you’ll achieve positive shifts in your small business. Zig Ziglar, Author and the Renowned Motivational Speaker, said, “You can have everything in life you want, if you just help enough people get what they want”. I believe this and encourage you to share today and you’ll be glad you did!